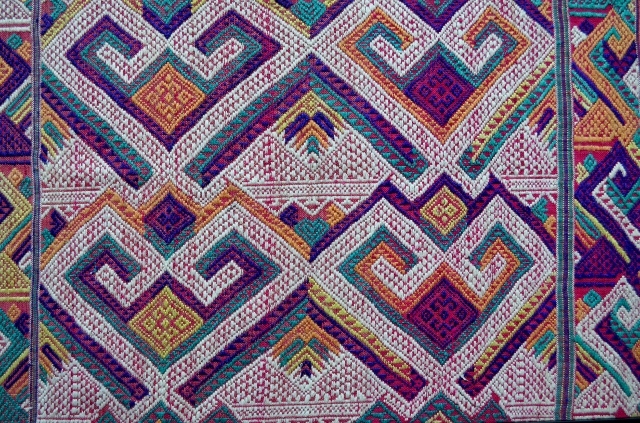 These are examples of embroidery from the northern area of Laos and Thailand. These pieces were purchased during a trip to Thailand. 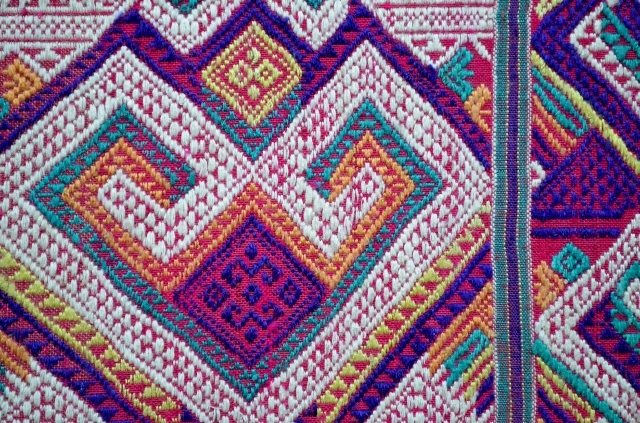 Laotian women weave these beautiful textiles on looms using silk thread. They are traditionally worn over their shoulder when visiting their Buddhist temples, and oftentimes left as gifts to the monks. 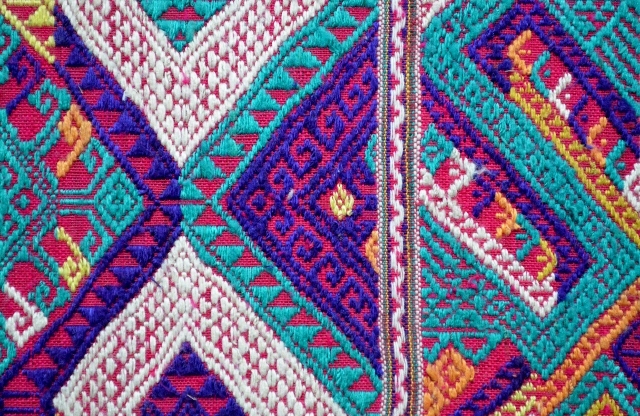 The embroidery serves an important cultural and financial part of traditional village life. 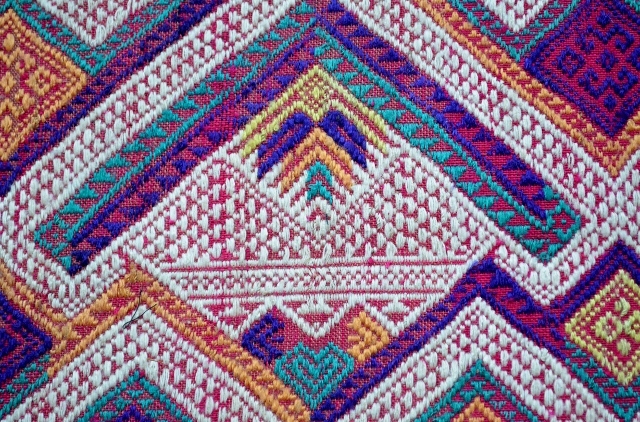 This type of embroidery is also created by the Yao tribe which is found in Laos, Myanmar, Thailand and Vietnam. They use the embroidery to decorate their traditional costumes of tunics and trousers. The designs can be replicated on a small scale using a counted-thread technique and silk embroidery thread. Cool, I’ve done the normal nine patch but never the double. I wish there was a way to “favorite” blogs on wordpress, so they could be easily obtained, because you would definitely be one of my favs.